The 26th Annual Symposium on Research in Psychiatry, Psychology and Behavioral Science will be held Thursday, April 18, in the Mulford Library Café. From 11 a.m. to noon, the poster session will take place. There are 37 posters this year with research topics ranging from cognitive factors that influence sexual behaviors and social factors that affect weight loss, to the impact of hearing aid use and object recognition in children. 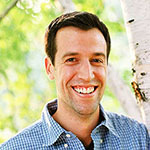 Dr. Luke Hyde, associate professor of psychology at the University of Michigan, will present a keynote address titled “The Long Reach of Early Parenting: A Neurogenetics Approach to the Development of Antisocial Behavior” at noon. Along with The University of Toledo departments of Psychiatry and Psychology, the symposium is sponsored by the Bowling Green State University Department of Psychology and the University of Michigan- Dearborn Department of Behavioral Sciences. The principal goal of the symposium is to showcase the basic and applied behavioral research being conducted by faculty members and students in the region, according to Dr. Michele Knox, professor of psychiatry at the University. For more information on the free event, contact Carol Brikmanis at carol.brikmanis@utoledo.edu. This entry was posted on Tuesday, April 16th, 2019 at 3:00 am and is filed under Arts and Letters, Events, Medicine and Life Sciences, UToday .